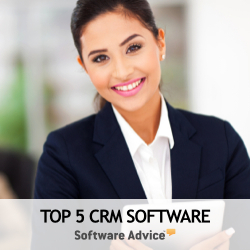 With its on-premise SAP CRM product, SAP is arguably the CRM software industry leader. Of course, Oracle would take that argument as the two companies point to differing criteria and sources for each to assert their top leadership position. Something else these two software titans have in common—they both delayed their entry into the software as a service market, however are now moving full steam ahead to make up lost ground. SAP seeks to expand CRM market share in the cloud with its on-demand solution, Business ByDesign. SAP Business ByDesign is an enterprise-wide ERP and CRM system that facilitates end to end integration for key business functions such as financials, human resources, supply chain management, project management, compliance management and customer relationship management. SAP offers no fewer than four business applications for small and midsize enterprises (SMEs). Business One and Business All-in-One are mature on-premises ERP systems, while Business ByDesign and the most recent Sales On Demand represent SAP's foray into the cloud. SAP is cloud convert. The company's drive to the cloud is less about innovation and more about market demand. Market research firm IDC forecast the software as a service industry to reach sales of $40.5 billion by 2014, up from just $13.1 billion in 2009. More troubling to on-premise software companies, IDC also noted that the shift to SaaS reduced traditional software license revenue by $7 billion in 2010; a trend that will surely continue. Whether hedging its bets or accommodating diverse customer interests, SAP demonstrates a split vision when it comes to the cloud. With Business ByDesign, SAP is showing it is fully committed to multi-tenant, enterprise-wide apps delivered over the Web, consumed with a browser and compensated with a subscription pricing model. No cloud ambiguity here. However, with Sales On Demand, and the expanding On Demand line of business applications, SAP is delivering cloud extensions to its on-premise business software systems. The hybrid environment can certainly make sense for many organizations, but how the two cloud strategies come together and impact the longer-term product road map for each as well as Business Suite 7 remains unclear. At the company's September 2007 Business ByDesign launch announcement, SAP predicted the company would achieve 10,000 customer acquisitions by 2010. Actual results were about 100. False starts, technical problems and product delays seriously impacted the go to market execution and to an extent, the company's credibility in transitioning to the cloud. However, SAP clearly recognizes the on-premise software market is saturated, customer demand has shifted to the cloud and failing to deliver a cloud solution will leave them on the defensive while watching their customer base erode to smaller but more innovative software as a service competitors such as Salesforce.com and NetSuite, or large competitors with cloud solutions such as Microsoft and Oracle. Despite the delayed release, which was a costly but possibly sound business decision, SAP has persevered in delivering two SaaS solutions—first with Business ByDesign and then with Sales on Demand. In fact, the follow-on delivery of the Sales OnDemand solution is part of a portfolio of SaaS line of business apps built on the ByDesign platform. This two-fold approach allows SAP to cross-pollinate its line of business apps with ByDesign and add vertical market depth to the broader SaaS ERP solution. SAP initially positioned ByDesign for companies with 100 to 500 employees and 25 to 100 total users, however, later eliminated the upside limit. In all likelihood, the company's initial on-demand target market is in largest part the company's existing middle market customer base. With its enterprise-wide suite, the product is competitively strong in a near greenfield market with few on-demand competitors. With proper execution is appears likely SAP's Business ByDesign can establish a semi-early global market share position in the combined hosted CRM and ERP space. Business ByDesign has quickly advanced from a single-tenant sales focused module to a broad multi-tenant CRM and ERP suite. The Business ByDesign Feature Pack 2.5 release was largely a technology upgrade that delivered a multi-tenant architecture, mobile support, an upgraded (Microsoft Silverlight) user interface and T-Rex in-memory analytics processing. Feature Pack 2.6 delivered in February 2011 included enhancements to the SDK (software development kit), early methods for financial consolidation with SAP Business Suite and R/3 systems and global availability beyond the initial six countries of China, France, Germany, India, UK and US to include Austria, Canada and Switzerland.